It's definitely more expensive to choose a direct flight from Europe to Hanoi or Ho Chi Minh City (Saigon). If you want to choose a ticket with lower price, be prepared to make at least one stop in one of Asia’s many international airports, such as in Singapore, Hong Kong, Bangkok and Doha, from which you’ll take another flight for toVietnam. However, you can also contact an airline ticketing agency for more information. There are more flights from Europe to Hanoi or Ho Chi Minh City than to the airports in Laos and Cambodia. A direct flight into Vietnam from Europe will average between 13 and 15 hours long. Our customers use most often flights of the SkyTeam alliance, which consists of 15 different companies, including Alitalia, Cathay Pacific, Vietnam Airlines, Singapore Airlines, Thai Airways, and Air France. In general, for flights in economy class, the maximum weight for checked luggage is 20 kg. Be careful to pay close attention to your bag’s weight, as overage charges can be steep; some airlines may be willing to let slide a few kilograms over the maximum allowed weight, but many low-cost carriers have much stricter policies in place. Thus, it’s best to make sure your luggage’s weight and dimensions comply with your airline’s policies. If you intend to deliver your luggage to your hotel soon after arrival, you can use the baggage delivery service offered at most airports in Vietnam. Payment may be made by cash or credit card when you arrive at the hotel. 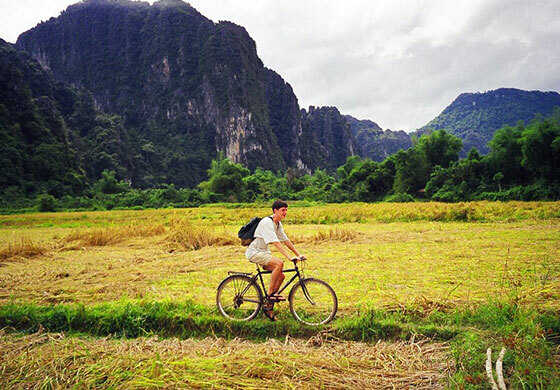 Vietnam, Laos, and Cambodia stay in the same time zone known as Indochina Time (UTC+07:00). For example, when it is 12:00 in Rome, time in Vietnam is 18:00 in the winter and 17:00 in the summer (because of daylight saving time). When traveling long distances, you may feel a bit troubled by a phenomenon called “jetlag”. 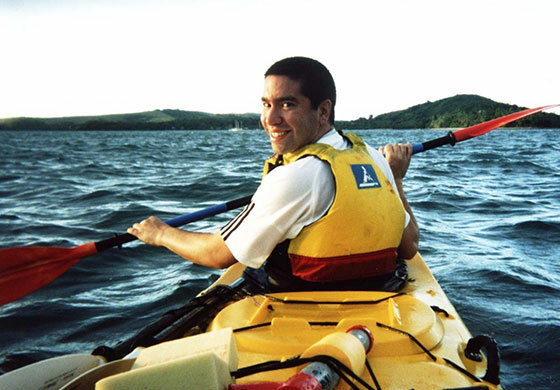 The reason for this is that humans are diurnal animals who stay awake in the daytime and sleep at night (as opposed to nocturnal animals).When travelling such a great distance in such a short time, you may notice you’ll be awake at odd hours and feeling sleepy before sunset in your new time zone; this is completely normal, and your body will need a few days to readjust to the new time zone. As with every country, Vietnam encourages general sanitation behaviours, such as washing one’s hands with soap carefully before having meal. Even better, you should feel free to bring disinfectant wipes with you in case you can’t find clean water. Please note that the tap water in Vietnam is not yet drinkable, even in large cities and in hotels. As a result, a common practice here is to drink only sealed, bottled water. 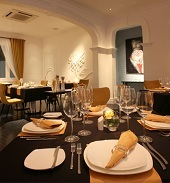 Vietnam is famous all around the world for its great culinary culture. From north to south, each region has its own characteristic cuisine. The dishes in Central Vietnam may be too spicy for some, but are really worth a try. In the South, you can try a “daily dish”, which is very sweet (similar to cake). Northern cuisine is more palatable to Western tongues, not too spicy nor sweet or salty. The national currency in Vietnam is the Vietnamese dong (VND), and you can pay with international credit cards in all countries. There are numerous ATMs, especially in cities.Travel cheques are accepted by all banks and exchange offices. 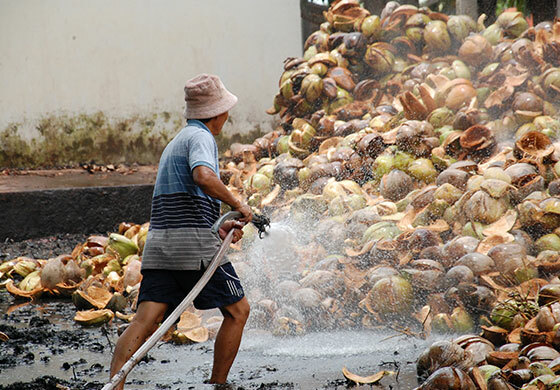 Vietnam enjoys a tropical monsoonclimate. Our country stretches about 1,650 km from north to south, and the climate is different in each region. 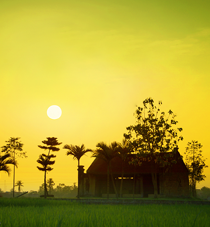 Temperatures: The southern part of Vietnam is warm all year round. "Winter" really only exists in the north, where temperatures can drop to 10ºC (50ºF). The "cold" periods are not as coldas they are in Europe, but are dependent on cold air coming south from China. In general, theis cold never lasts more than a fortnight and a stiffer period usually occurs in Christmas. Precipitation: In North Vietnam, the rainy season lasts about five months, from mid-May to September. In the center of the country the rainy season comes later and can last until November, with more abundant rainfall than in the North. 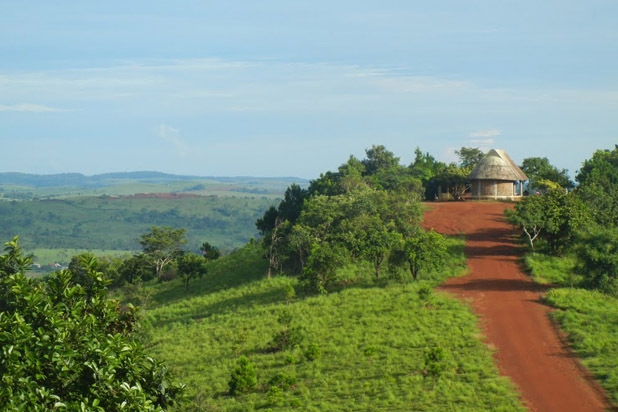 The rainy season falls between April and September in the south. 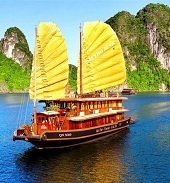 Except in the case of water travel by boat or cruise, the rain shouldn’t affect your trip in Vietnam. Storms: Vietnam is one of few countries which has a higher than average number of storms and floods, but only the center and the north of the country are really affected by the storms that come in August and end around the late-September. - From December to the end of February in the north is wet, misty, sometimes even cold and rainy; in the center we find the same climate but with higher temperatures and less rain. This is the best time to visit the south of the country, when temperatures are not very high and the climate is very pleasant. 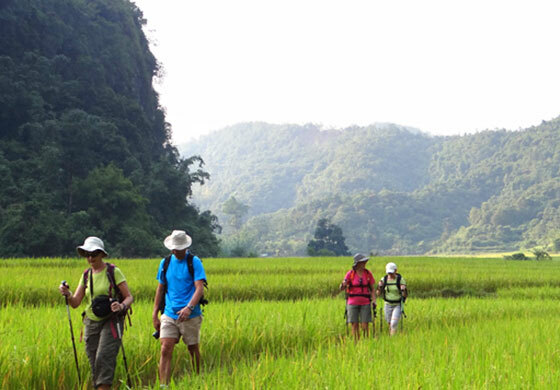 - From March to June is the best time to visit the North of Vietnam, as well as October and November: the weather is cool, it's not raining and normally the sun shines brilliantly. But in the center it is the rainy season and in the South it's hot and does not rain. If you intend to go to beach vacation, you have to know that all the most beautiful beaches in Vietnam, are located in the South, where it's always hot. 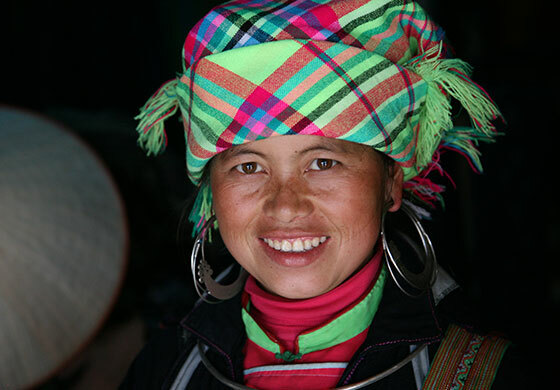 The Vietnamese population is made up of different ethnic groups, and this implies a diversity of beliefs and religious rites. 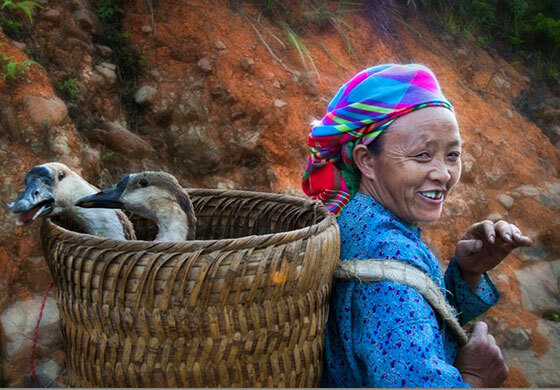 The Vietnamese believe that death is not the end of life, we just pass through another world to live. In ancestor worship, family members express their respect, their attachment, and their gratitude toward the passing-away family member on special occasions.The Vietnamese believe that the love of the ancestors is always present and help to protect their offspring.Each house has an ancestral altar, where photographs of the dead, funeral tablets, candles and offerings (usually flowers and fruit) are placed in position, dedicated to the souls of the deceased. According to the Vietnamese, there are spirits that protect them from bad luck. Every village has one or more holy place or temple dedicated to them. These spirits can be supernatural beings, such as the Founding Fathers of the trades or national heroes who won in the fight against foreign invaders. 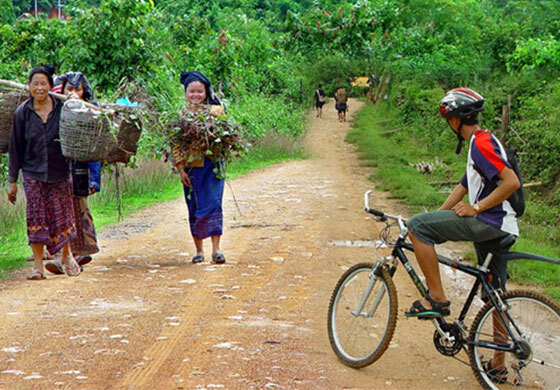 Also the Vietnamese worship the spirits of the kitchen, wind, harvest and marriage. In homes, the altar is dedicated to the spirit of fire, land, and trees. 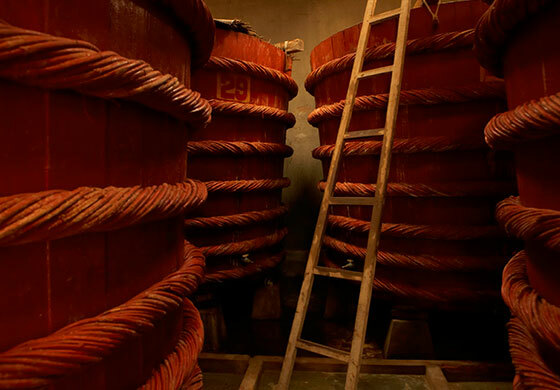 In a place of business, we can find an altar, where is celebrated the worship of the spirits of good luck and success. 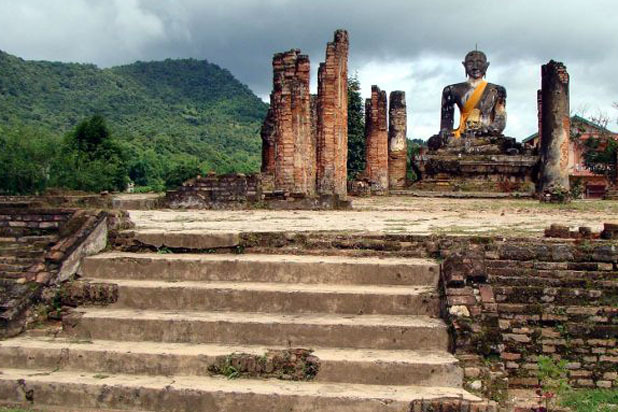 Buddhism appeared in Vietnam around the second century BCE, after Confucianism and Taoism; during the Ly dynasty (eleventh century) reached its zenith and was considered as the official religion. 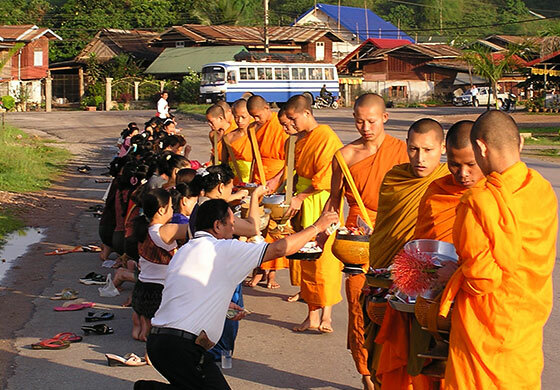 Buddhism has since spread widely among the population and has profoundly influenced the social life. 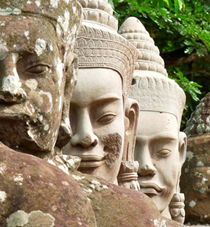 Today, followers of Buddhism account for about 70% of the Vietnamese population. 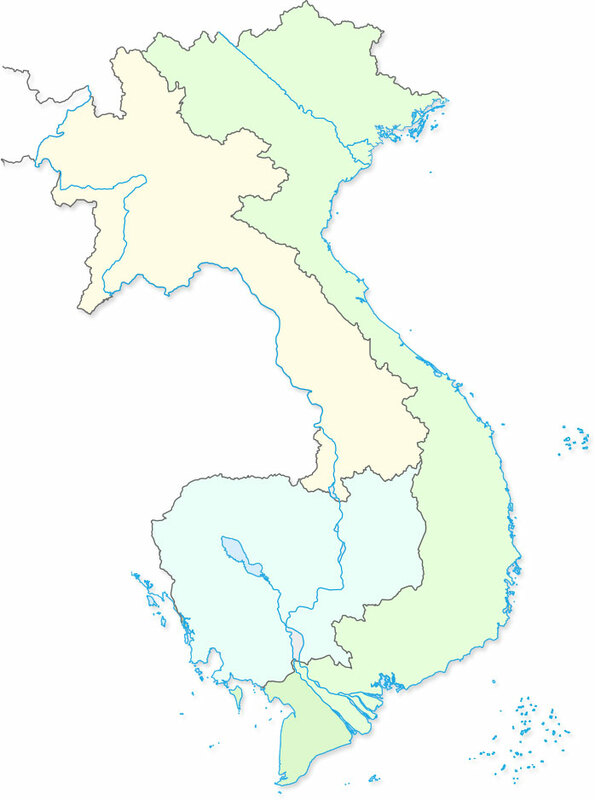 Vietnam is also the second-largest Christian country in Southeast Asia, after the Philippines. Catholics communities are currently concentrated in Bui Chu and Phat Diem in Ninh Binh province, and Ho Nai and Bien Hoa in Dong Nai province. They represent about 10% of the population. 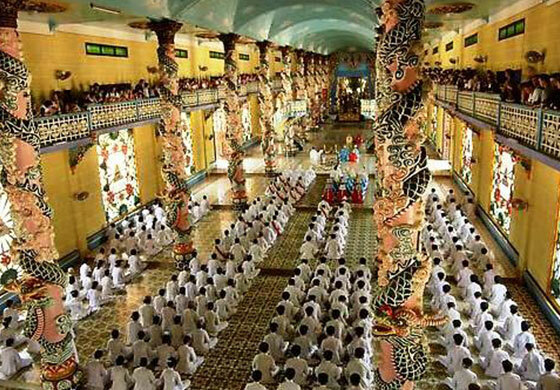 Caodaism is also one of the other great religions of Vietnam. It is a local belief, born in the south of the country in the 1920s and founded on different western and eastern philosophies, and is still strongly geared to spiritualism. 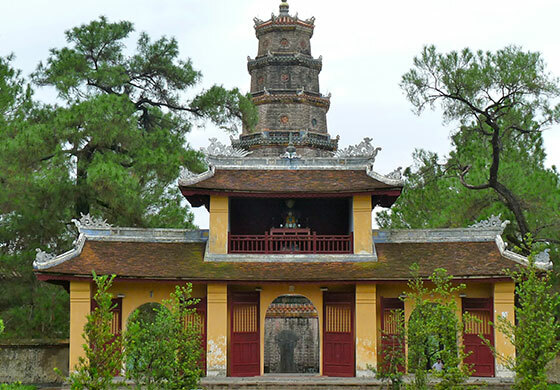 The temple of Tay Ninh is the main symbol of Caodaism in Vietnam. Taosimo and Confucianism probably first appeared in Vietnam in the first century CE and become the one of the most important religions in history. Now, Taosimo and Confucianismstill exist in the customs and ways of thinking of Vietnamese. You can obtain a visa at the local Vietnamese embassy in your country, or you can receive a visa on arrival directly in the arrival airport with the services of Terra Indocina. Receiving a visa on arrival is, of course, more simple, and only requires you to send us a photo scan of your passport’s photo page via e-mail. Then, we will send this along with the correct forms to the Vietnamese Immigration Department to obtain permission for the visa. In about three days, you will receive a copy by e-mail. Simply print the copy and take it with you to check in at the airport. When you arrive in Vietnam, you will have to show your passport, a passport photo, and authorization of visa on arrival. With all that done, you can now enter Vietnam. What’s on your mind when you hear the word “Vietnam”? The story of a long and fierce war, people with strong character, the beautiful landscapes and a stunning reputation of delivering the finest traditional cuisine? 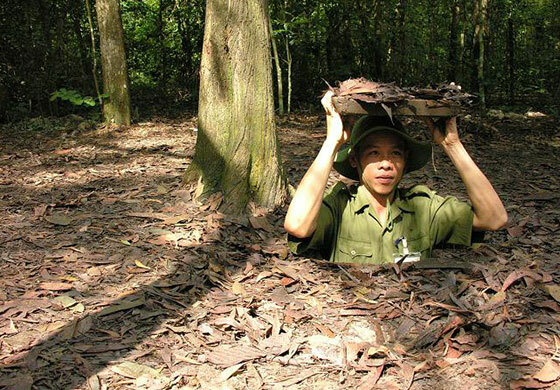 Vietnam has many other mysteries and unknown aspects that are waiting to be discovered. Pack your bags and join us! Located at altitude of 1,650 meters and, favored by a temperate climate, Sapa is a quiet town which concentrates a ide variety of ethnic minorities. 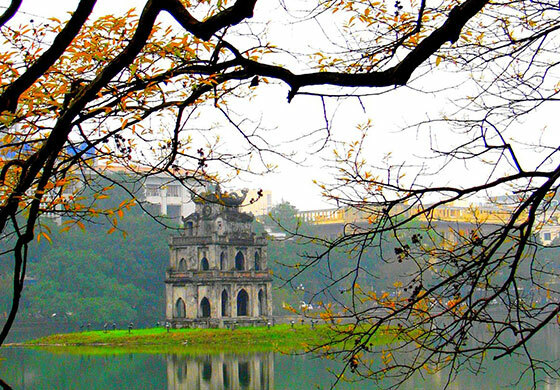 Hue is the ancient capital of Vietnam, where the Nguyen Dynasty ruled from 1802 to 1945. 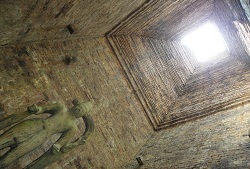 It is the pride of the Vietnamese and is still well preserved. Its buildings are the result of a unique blend of local tradition and foreign influence. Hoi An attracts many tourists also for the products of the local arts and crafts. 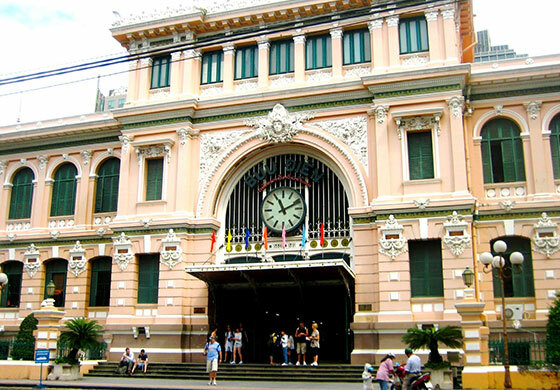 Ho Chi Minh City (Saigon) is the largest, the richest, and most diversecity in Vietnam. This city is a important trading center for both Vietnam and for the South-East Asian region. 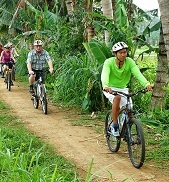 Cu Chi is located in the outskirts of Ho Chi Minh City, about 40 km from the city center. 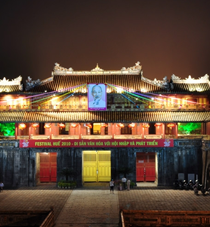 This place is famous worldwide for events related to the Vietnamese War. 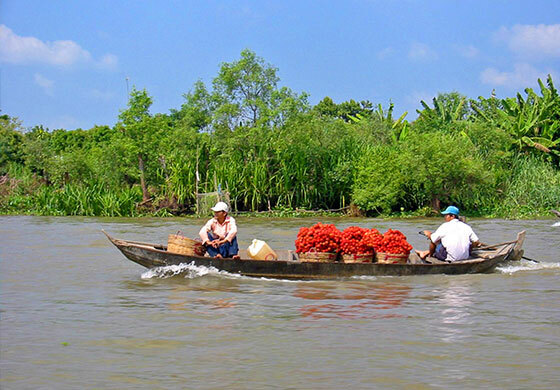 When speaking of the Mekong Delta, the first thing that comes to your mind must be Can Tho. The young and modern city of Can Tho is considered the capital of the Delta. 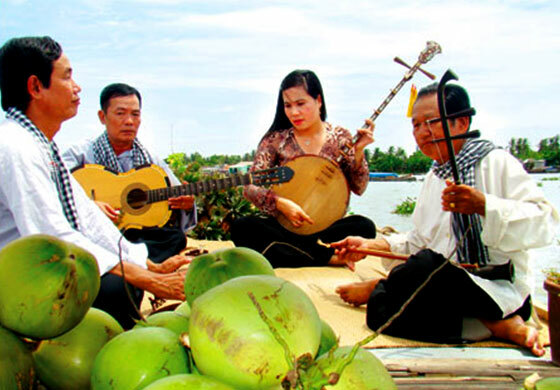 Ben Tre is another province in the Mekong Delta. 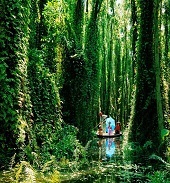 It is placed between the branches of the Tien River. 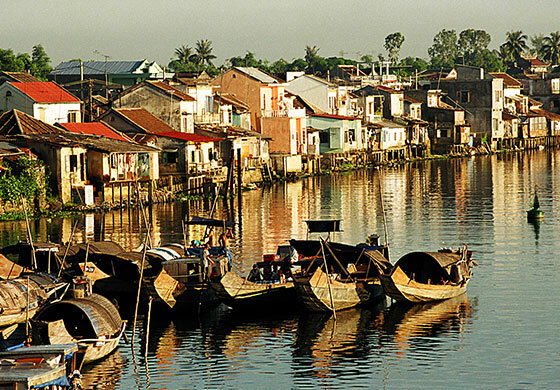 Cai Be is a country located west of the Tien Giang province and is very famous for its floating market. 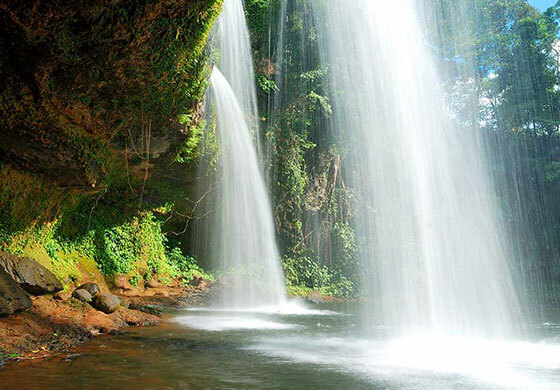 Chau Doc is located about 245 km to the west of Ho Chi Minh City and 100 km from the border with Cambodia. 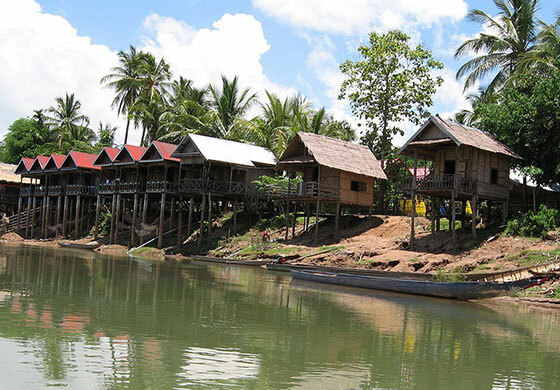 Chau Doc is becoming an increasingly popular destination with travelers wishing to enter Cambodia through its waterways. 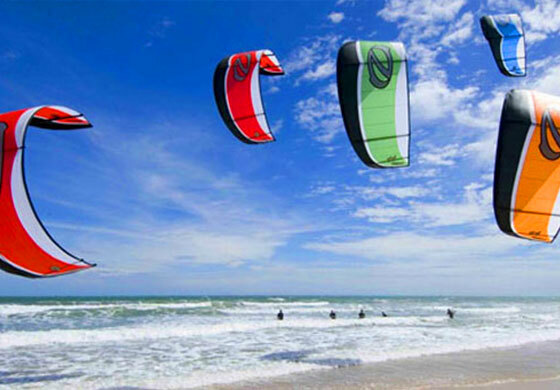 Mui Ne is a charming resort area in Phan Thiet, located 230 km north-east of Saigon. It is the anideal place for those who love the atmosphere of beaches with white sands dotted with coconut palms. Phu Quoc is located in the Gulf of Thailand and is an hour’s flight from Saigon. It is also the largest island in Vietnam. 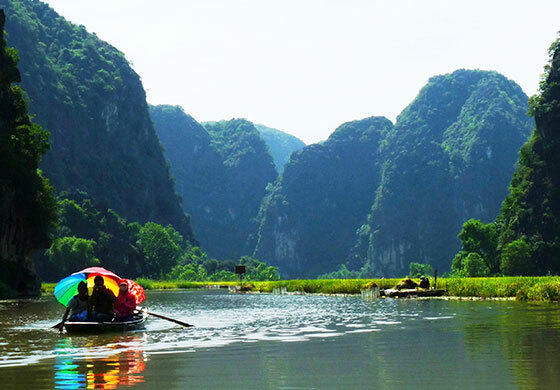 Ba Be Lake, whose name means "lake of three seas", is located 230 km from Hanoi and rests at 145 meters above sea level. 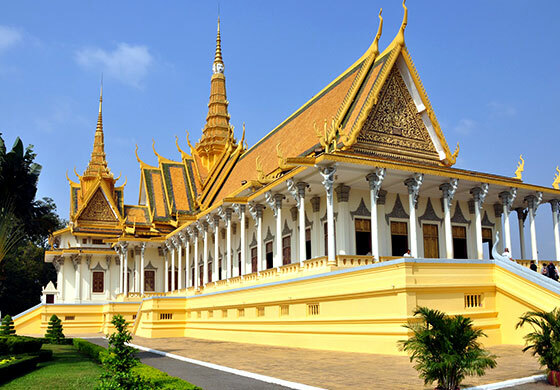 Phnom Penh is the capital of Cambodia, and is the largest and most populous city in the country. After Angkor was abandoned, Phnom Penh began to play an important role as the center of political. 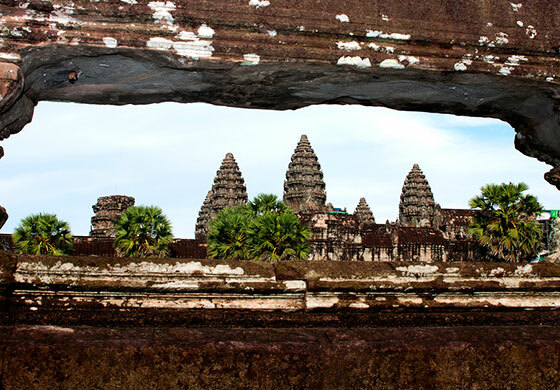 Siem Reap is a province in the North-West of Cambodia. Located in the ruins of ex-capital Angkor (and listed as a UNESCO World Heritage Site) and the great Tonle Sap Lake, Siem Reap is the gateway to the largest religious complex in the world. 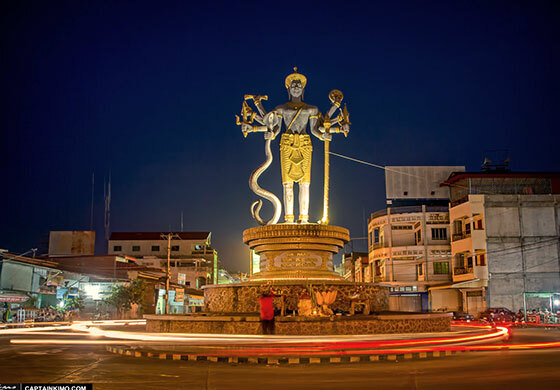 Battambang locates along the river of Sangker and is the center of a fertile agricultural area and trading hub with Thailand.The city has also been nicknamed "the rice bowl of Cambodia". 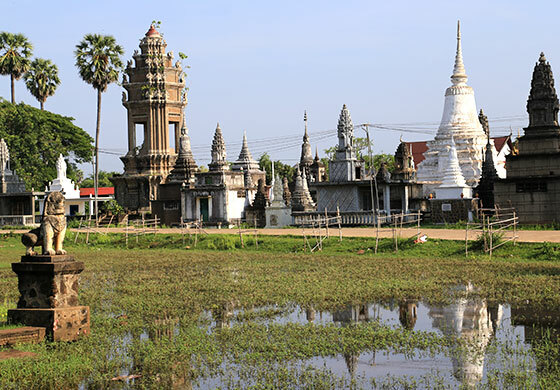 Kampong Cham lies on the shores of the impressive Mekong River. The old town has a few buildings from the French colonial period. 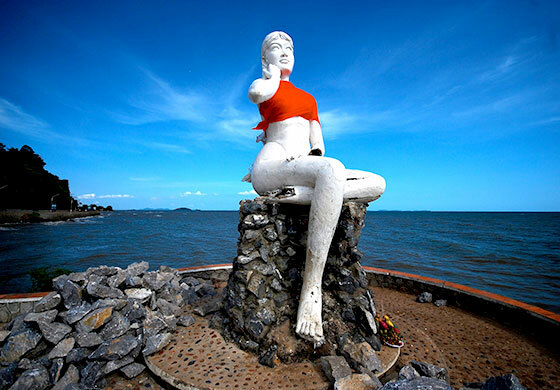 Kep, located a few kilometers west of the Vietnamese border, is a seaside city on the southern coast of Cambodia. Kratie (or Kracheh) is the capital of the Cambodian province of Kratie. The city lies on the banks of the Mekong River, where one can witness the breaching of. 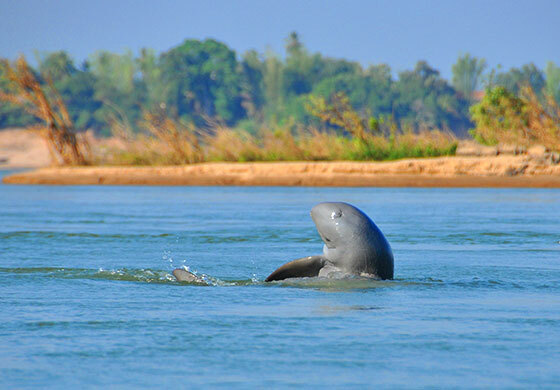 Rare Irrawaddy dolphins making it a well-known center of eco-tourism. Sihanoukville, overlooks the Gulf of Siam. The city was founded in 1964 to become soon the most important seaport in the country. It adopted its present name under the King Norodom Sihanouk. 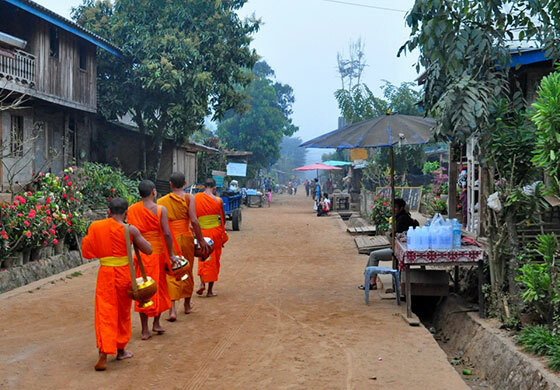 Kampong Thom is very rich in tourism potential, and attracts tourists with its exotic lakes, rivers, forests, mountains, and more than 200 ancient temples. The province of PreahVihear is situated in the north of Cambodia and the border with Thailand. 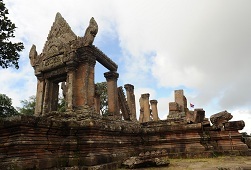 The major attraction of the province are isthe eponymous temple of PreahVihear, which is known for the conflict over sovereignty with Thailand. 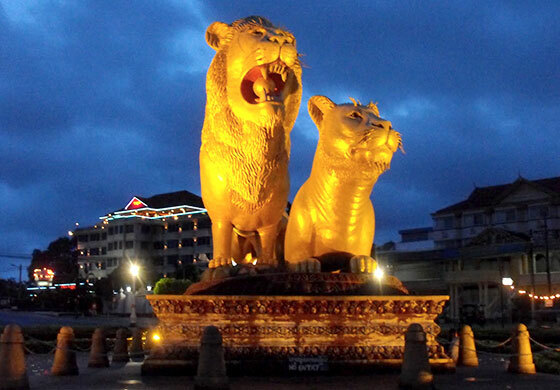 Vien Tiane is the capital of Laos and is located in a bend of the Mekong River. Despite its turbulent past, it is still a quiet city with peaceful pagodas and lively markets. Being a true war museum, the city of Xiang Khoang was razed to its soil by American bombing in the 1960s and has been replaced by the new city of Phonsavan.